A team of researchers from the Icahn School of Medicine at Mount Sinai and Keck School of Medicine at the University of Southern California (USC) have developed a novel machine-learning framework that distinguishes between low- and high-risk prostate cancer with more precision than ever before. The framework, described in a Scientific Reports paper published recently, is intended to help physicians—in particular, radiologists—more accurately identify treatment options for prostate cancer patients, lessening the chance of unnecessary clinical intervention. Combining machine learning with radiomics—a branch of medicine that uses algorithms to extract large amounts of quantitative characteristics from medical images—has been proposed as an approach to remedy this drawback. However, other studies have only tested a limited number of machine learning methods to address this limitation. In contrast, the Mount Sinai and USC researchers developed a predictive framework that rigorously and systematically assessed many such methods to identify the best-performing one. The framework also leverages larger training and validation data sets than previous studies did. As a result, researchers were able to classify patients’ prostate cancer with high sensitivity and an even higher predictive value. Researchers from the study gratefully acknowledge funding support from the Big Data to Knowledge (BD2K) Training Coordinating Center (TCC) through the Data Science Rotations for Advancing Discovery (RoAD-Trip) program (grant #1U24ES026465-03). This work was also partly supported by NIH grant #R01GM114434, an IBM faculty award, and grant #PC140371 from the Department of Defense Prostate Cancer Research Program. 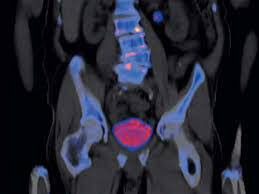 Mount Sinai, USC researchers create highly accurate prostate cancer prediction tool . Appl Rad Oncol.